STRI’s Carlos Jaramillo and a team of 25 co-authors explore themes from fossil formation to the bridging of the Americas to the role of humans in modern ecosystems. At the international book fair in Bogotá, Colombia, Smithsonian paleontologist Carlos Jaramillo and colleagues unveil their new book, Hace Tiempo, un viaje paleontológico ilustrado por Colombia (Long Ago: an illustrated paleontological journey through Colombia). Written by 26 co-authors, the book presents dramatic moments of Colombia’s geological history and some of its awe-inspiring animals such as the Titanoboa, a snake wider than a doorway and longer than a bus, known from fossil remains discovered by Jaramillo and collaborators in the Cerrejón coal mine in Colombia. Published by Colombia’s Instituto Humboldt in association with the Smithsonian Tropical Research Insitute, the book is considered Humboldt’s “most important publication of the year” and will be officially launched by Jaramillo and Brigitte Baptiste, Instituto Humbolt’s director, on April 28. The Feria Internacional del Libro de Bogotá runs April 17-May 2. 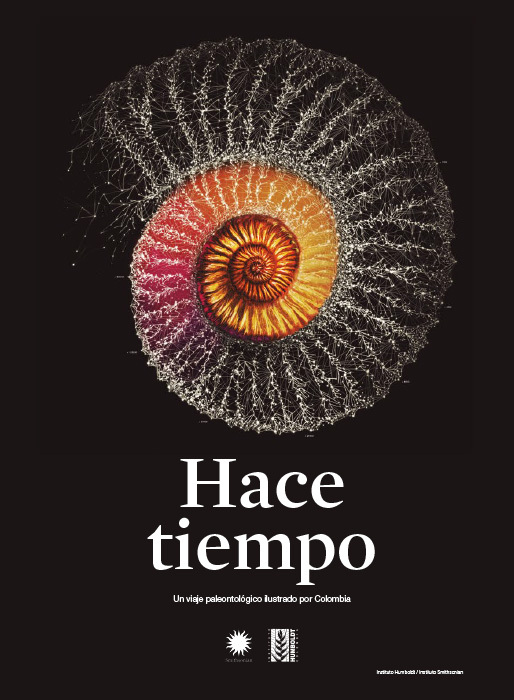 Hace Tiempo provides an overview of geologic time, describes how fossils form and gives long-term perspective to concepts of climate change and humanity’s role in modern ecosystems. A teacher’s guide will help docents involve students in hands-on activities to bring alive the contents of book, an electronic version of which will be available online. At the start of the book, North and South America have yet to be joined by the Isthmus of Panama, and only the Amazon and Orinoco portions of what is now Colombia were formed, followed much later by the rise of the Andes mountains and the explosion of biodiversity that followed. The exhibit accompanying the book includes a lab where visitors can assemble orchids and dinosaurs, along with supersized models of fossils, soundscapes and blindfolded explorations of Colombia’s past.